Costco’s summer strawberries are out of control. Is it possible to eat a over kilo of strawberries in a week? I managed to get through about half of them by making strawberry coconut ice pops for Jasmine and bringing some to lunch every day, but I got to the end of the week and still had about a pound left. I needed a recipe that would be alright with imperfect strawberries just about at the end of their shelf-life, that didn’t have any added sugar (or honey or stevia or any sweetener whatsoever), and that I’ll be able to return to all summer, as our CSA continues to send us more fruit. I started pursuing Pinterest, but all of the recipes I found were either SWYPO (that is, paleo, but actually secretly a dessert, which is FINE, but not what I need right now), or had added sugars. So I got to work and started experimenting. What better than a refreshing strawberry basil mocktail? The sweetness of the strawberries contrasts well with the subtle bite of the basil, but make no mistake, this is not a sweet drink! Chop off the tops of the strawberries and blend them with 1/2 – 1 cup of water. Roughly tear the fresh basil leaves in half. Gently boil the strawberry slurry and basil down to a thick syrup, stirring frequently. Store leftover syrup in the fridge for up to one week (or freeze it into ice cubes, like I did!). 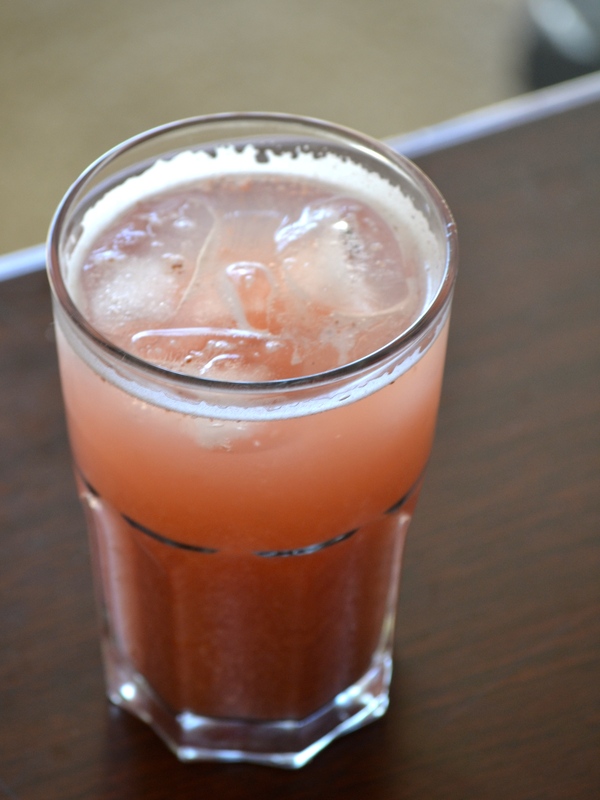 Mix 3T strawberry basil syrup, 2T lime juice, and 1c fizzy water. Pour over ice. Next Post Happy Independance Day!